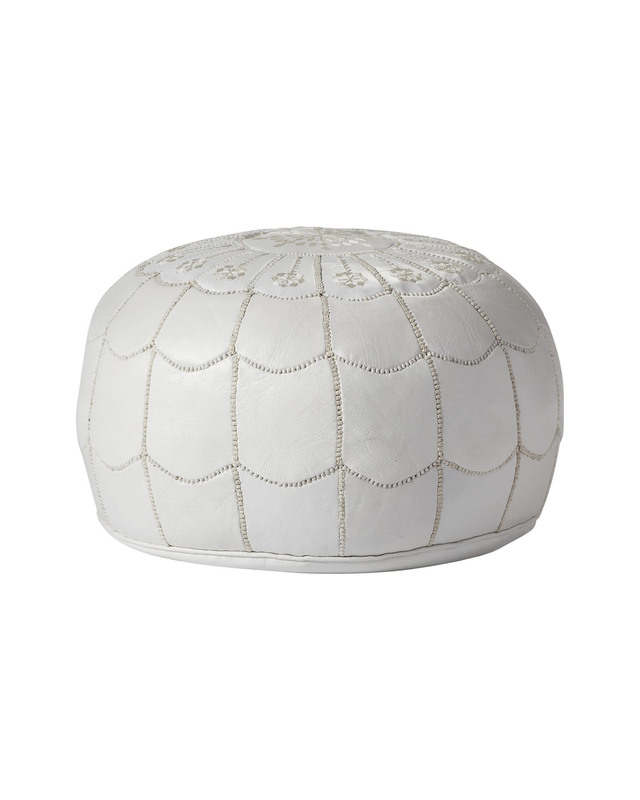 Moroccan Leather PoufMoroccan Leather Pouf, White alt="Moroccan Leather Pouf, White"
Print Perfect as a footstool or extra seating, our fabulous poufs are at home in any room of the house. Handmade by artisans in Morocco, each is unique, with subtle variations in color. 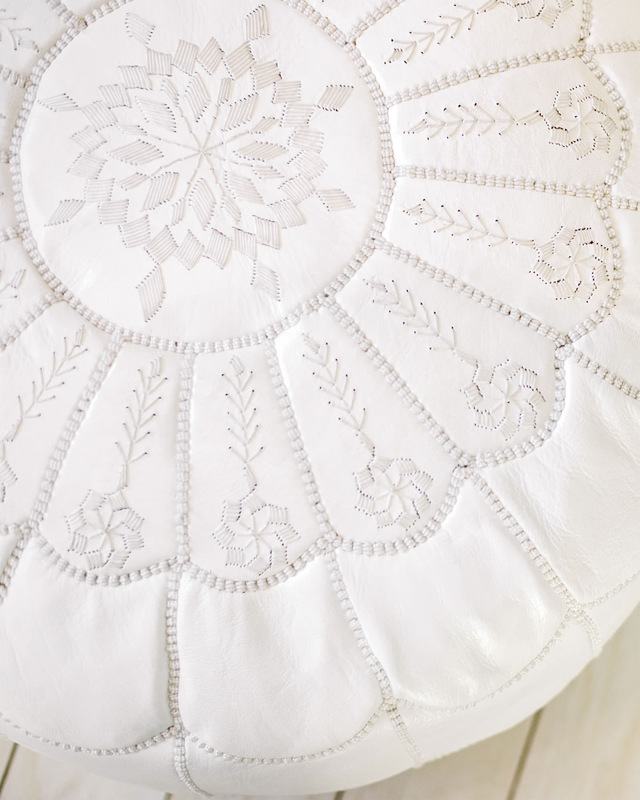 Individual pieces of leather are dyed to perfection, then stitched together and embroidered by hand. The poufs are then filled with dense cotton, which takes longer to assemble but results in a substantial, sturdy construction that lasts for years to come. Leather with cotton batting fill.